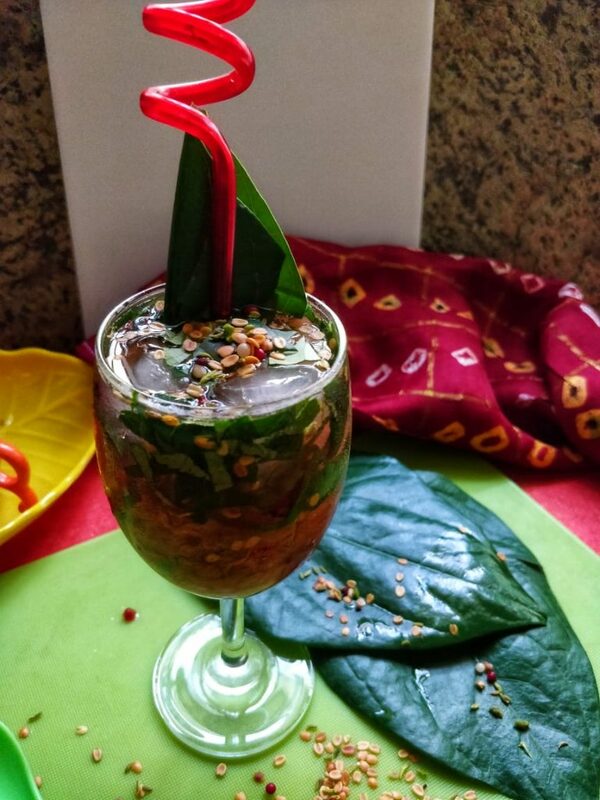 Paan Mocktail | Betel Leaf Mocktail is a very refreshing summer drink. 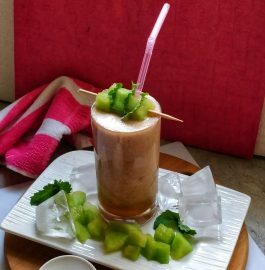 As the summer on its peak, we want something refreshing to cool the body heat. 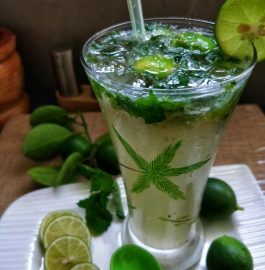 And Paan Mocktail | Betel Leaf Mocktail is best to beat the summer. 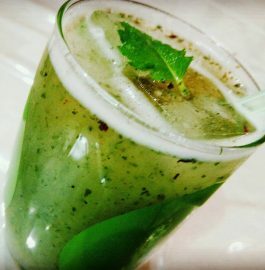 It is a refreshing, cool drink with amazing paan flavour. It has the sweetness of gulkand, gulkand is a sweet preserve of rose petals. 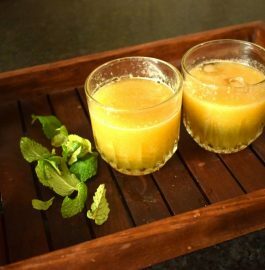 As we know paan or betel leaf and gulkand is act as a coolant and it has many health benefits too. Paan or betel leaf is good for digestion whereas gulkand is a powerful antioxidant and a good rejuvenator. It is good for your intestine, teeth, gums. It helps to cure mouth ulcers too. 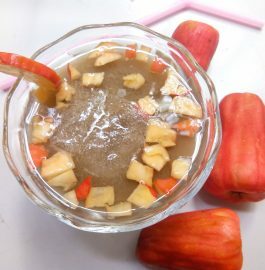 By combining these two amazing ingredients, you will be benefited more. 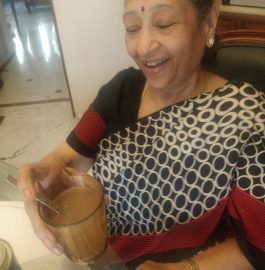 So, try to make this drink at home and enjoy with your loved ones. 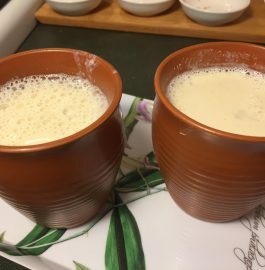 You can adjust the quantity of gulkand according to your taste. 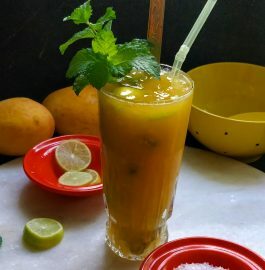 Preferably use sugar syrup to make the mocktails. 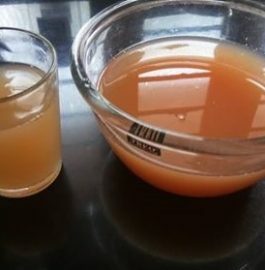 It is easy to mix with other ingredients. Wash and chop the betel leaf. 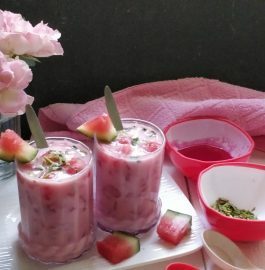 Take a serving glass and add gulkand, ice cubes. Then add sugar syrup and chopped betel leaf. Pour the chilled soda water in it. Give a nice stir. 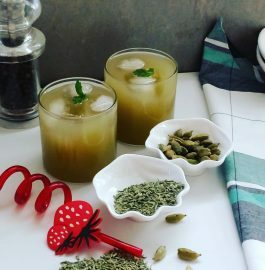 Garnish the drink with mukhwas or colourful fennel seeds. 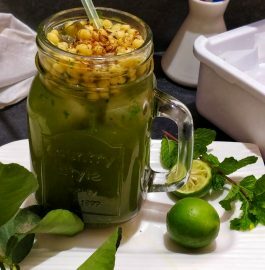 Refreshing 'Paan Mocktail | Betel Leaf Mocktail' is ready to be served.